Tuesday December 3 is the annual meeting of York Buy Fresh Buy Local. 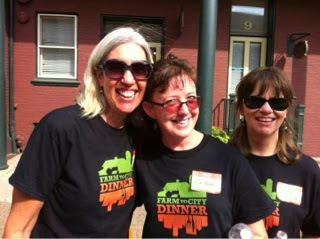 We are a group of volunteers having fun with food in York County. So much is grown here, raised here, made here, and we love getting out the word on food! Together we publish the food guide on line and in print. We partner for fun events. The Taste of York...which is a sampling of food from a number of partners! The Scavenger Hunt, visit members for a chance to win great prizes! We participate in many community events. And have been a part of Farm to School and Farm to Institution initiatives in York County. Do you grow here? Do you make something with local ingredients? Do you eat here? Please join us to learn more. 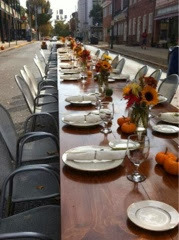 We welcome volunteers with ideas, time and interest in eating local. Like our Facebook page, York Buy Fresh Buy Local.